From 2017 The FA Women’s Super League (FA WSL) will move to a new calendar, starting in Autumn. The league will be played alongside the traditional football calendar, from September until May each season. Next year, to bridge the gap between the seasons, there will be a one-off competition, The FA WSL Spring Series, which will be played from February to May. Each team will play each other once as they compete for their division’s Spring Series trophy. The competition will also provide competitive playing time for the league’s England internationals ahead of next summer’s UEFA Women’s Euros, which will be played in Netherlands. The FA WSL was launched as a summer league in 2011, with eight teams, and is now in its sixth season. In 2014 a second division, FA WSL 2, was created and there are now 19 teams across the two tiers. The change in format has been introduced to increase player welfare, further grow and develop the league and attendances, address issues around fixture congestion and planning and provide the platform for a winning England team. The changes will also better support The FA WSL clubs taking part in the UEFA Women’s Champions League and align the league with The FA Women’s Premier League and wider women’s pyramid. The SSE Women’s FA Cup will also be better integrated, with the showpiece Final at the end of the season. FA director of football participation and development Kelly Simmons said: “When we launched the FA WSL in 2011 it was the right decision to play it as a summer league, which has been demonstrated by the competitive, exciting football, growing attendances and player development. “However, there are still a number of issues holding the league back, such as fixture scheduling and ground availability. We want to keep building on the momentum and growth of the league and we believe now is the right time to change the calendar. “The move is designed to bring many benefits to the women’s game and we’ve worked closely with our clubs and other stakeholders in making this decision. “Player welfare is the prime concern of clubs and for us and these changes will allow more structured rest and recovery time, while fixtures will be more regularly structured with less congestion. “The FA is committed to investing in women’s football and aims to double participation and attendances by 2020, as well as creating the right environment for England to have the best chance of winning the 2023 World Cup and we believe that these changes will help us to further achieve these aims. 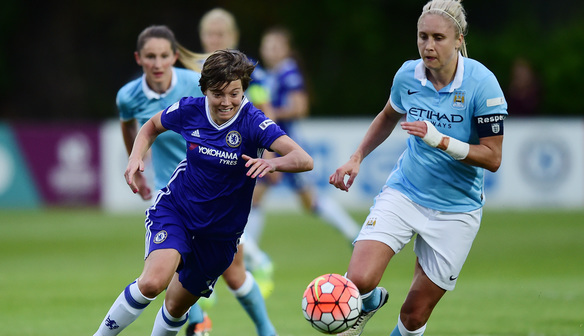 The 2016 FA WSL season runs until November. Following the season, there is a FIFA international window in mid-November, after which the players will have a long break before pre-seasons formally start in January.